“Wrongful death” is the death of a person caused by the negligence or wrongful act of another. Wrongful death cases arise from auto accidents, boat accidents or airplane accidents; medical negligence; unreasonably dangerous products; work-related injuries caused by exposure to dangerous conditions or substances; criminal attacks; and supervised activities, such as sports and school activities. When a loved one unexpectedly dies in an auto accident, boat accident or airplane accident, while a patient in a hospital or nursing home, or while at work, family members are left in shock. On many occasions, one of our most difficult challenges is determining whether the family member died naturally, from an Act of God, or because of some other person’s or entity’s negligence or wrongful act. The family of a person who is wrongfully killed may recover damages in a civil action brought against the person or entity whose negligent or wrongful act caused your family member’s death. Missouri has a wrongful death statute, which requires the knowledge of a skilled trial lawyer to successfully navigate. Wrongful death cases are usually brought on behalf of the deceased by the surviving spouse, child or parent. With the help of The Law Offices of Michelle M. Funkenbusch, a St. Louis firm experienced and knowledgeable in handling wrongful death cases, you may be able to recover damages in a wrongful death lawsuit. Please contact Michelle M. Funkenbusch to discuss your case. 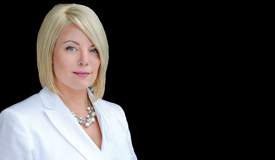 Michelle has been a trial lawyer since 1999 and has handled countless wrongful death cases involving nursing homes, car accidents, trucking accidents, medical negligence and faulty products. The choice of a lawyer when a death has occurred is a serious and difficult decision. Pick someone who you trust and believe in, not just a lawyer who advertises on TV. Come in and meet Michelle at a free consultation and decide if you believe in her and her years of expertise in this area. Call 314-338-3500 for an appointment. Avoid potential problems of hiring big advertising firms that treat you and your family like a number, contact Michelle today at 314-799-6602! If your loved one has been killed in a Missouri or Illinois car accident, for a free consultation contact our law firm.